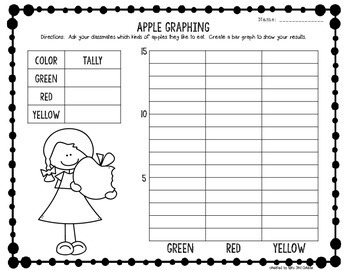 Two different recording sheets, a boy and a girl, where students will be able to take a poll to find the favorite color apple of the class. Students will then color in the bar graph to represent their data. Students will practice their 2 digit addition with carrying. There are task cards with and without QR codes. There are recording sheets with self reflection and without self reflection area. There are both full color and partial color options. 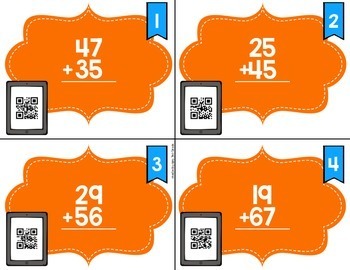 Task cards with and without QR codes. 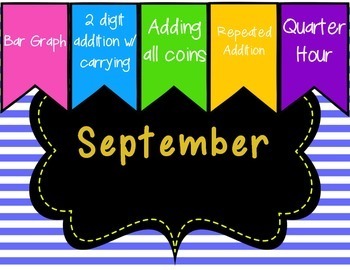 Students will practice adding pennies, nickels, dimes and quarters to find the total. There is a matching recording sheet. Students will practice their repeated addition by practicing their math. This will help them as they prepare for multiplication facts. There is a matching recording sheet. Students will practice telling time to the quarter hour. There is a matching recording sheet. 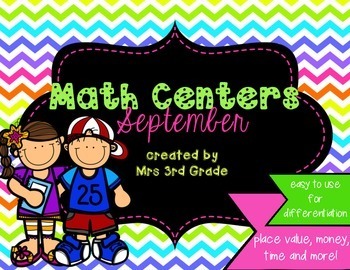 I hope that you enjoy these centers, and you may be interested in some of my other math centers!